เดี๋ยวๆๆๆๆๆๆๆ ตามไม่ทันละ Gen 7 ของแลปท็อปธุรกิจยังไม่เข้าเลย นี่จะไป Gen 8 แล้ว? จะรีบไปไหน? 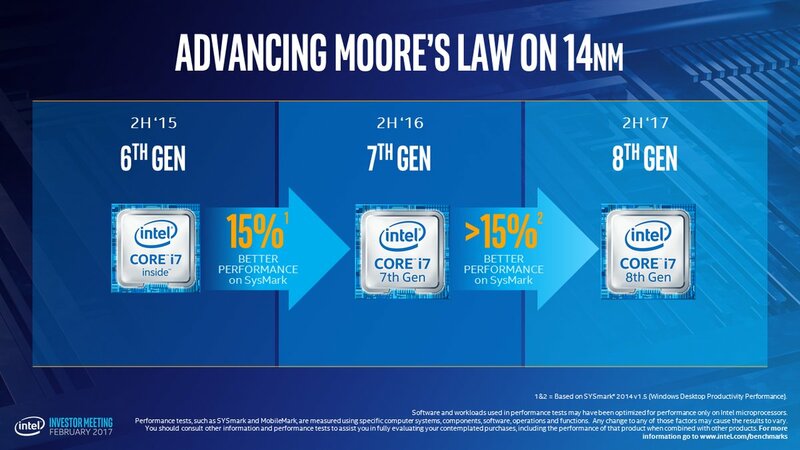 Due to issues with 10 nm yields intended for Cannonlake, Intel has opted for a 2nd refinement of their 14 nm process for higher-end families. Higher power mobile and desktop platforms will receive an update in the form of a 2nd 14 nm process refinement, Coffee Lake, that is said to share Cannon Lake's architectural refinements.